Every path to adulthood is strewn with missteps, epiphanies, and hard-earned lessons. Only Reggie Love's, however, went through the White House by way of Duke University's Cameron Indoor Stadium. Mentored by both Coach Krzyzewski and President Obama, Love shares universal insights learned in unique circumstances, an education in how sports, politics, and life can define who you are, what you believe in, and what it takes to make a difference. Remember when presidents spoke in complete sentences instead of in unhinged tweets? David Litt does. In his comic coming-of-age memoir, he takes us back to the Obama years - and charts a path forward in the age of Trump. More than any other presidency, Barack Obama's eight years in the White House were defined by young people - 20-somethings who didn't have much experience in politics (or anything else, for that matter) yet suddenly found themselves in the most high-stakes office building on earth. David Litt was one of those 20-somethings. After graduating from college in 2008, he went straight to the Obama campaign. In 2011 he became one of the youngest White House speechwriters in history. Until leaving the White House in 2016, he wrote on topics from health care to climate change to criminal justice reform. As President Obama's go-to comedy writer, he also took the lead on the White House Correspondents' Dinner, the so-called "State of the Union of jokes". 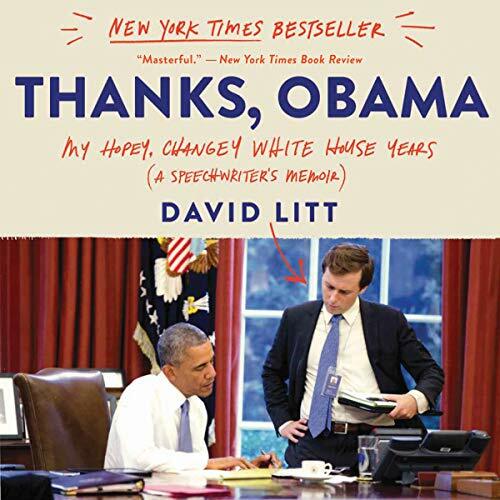 Now, in this refreshingly honest memoir, Litt brings us inside Obamaworld. With a humorist's eye for detail, he describes what it's like to accidentally trigger an international incident or nearly set a president's hair aflame. He answers questions you never knew you had: Which White House men's room is the classiest? What do you do when the commander in chief gets your name wrong? Where should you never, under any circumstances, change clothes on Air Force One? With nearly a decade of stories to tell, Litt makes clear that politics is completely, hopelessly absurd. But it's also important. For all the moments of chaos, frustration, and, yes, disillusionment, Litt remains a believer in the words that first drew him to the Obama campaign: "People who love this country can change it". In telling his own story, Litt sheds fresh light on his former boss' legacy. And he argues that, despite the current political climate, the politics championed by Barack Obama will outlive the presidency of Donald Trump. 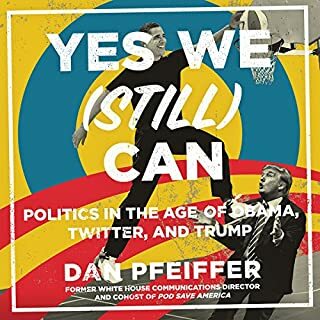 Full of hilarious stories and told in a truly original voice, Thanks, Obama is an exciting debut about what it means - personally, professionally, and politically - to grow up. Political memoirs tend to be drab, plodding, and full of posturing. Whether or not you have fond memories of the Obama Administration, a view inside the machine is compelling. Politics can be cynical and political operatives are too often malicious. 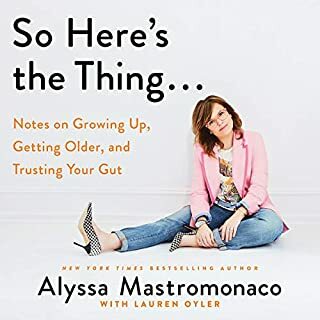 This is why I enjoyed peeking into this millennial’s journey from young skeptic to zealot to insider. Any political movement, from Occupy to Obamamania to the Tea Party to Trumpism, gains momentum on the backs of believers who break the political inertia holding back some or the feeling of disenfranchisement felt by others whose political leanings have been formed by the collapse of hope due to the immense weight of lofty unmet expectations. This book gives a glimpse into the ebbs and flows of the Obama era. This isn’t hero worship. It’s simply a look at an idealist’s journey to the center of his perceived political earth, and the twists and turns getting there. You learn about the human side of the White House, from Obama’s sense of humor to the insecurities and outsized consequences of staff. You see the journey from wide-eyed worshiper to jaded insider to realistic and hopeful pragmatist. 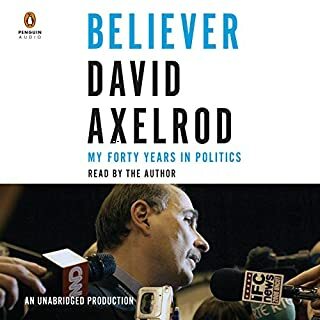 If you want to understand the motivations, hopes, and fears that fueled the undeniably successful political eruption of 2008, and the unavoidable reality of Washington crashing against and eroding it in the wake, read this book. The performance, by the author, is fantastic. Nobody understands the nuance of writing like a work's author, yet most have trouble pulling off a performance. This is not a problem for Litt, who is clearly comfortable behind a microphone. Both well written and well read by the author himself. It was great fun to learn of the inner workings of the speechwriters, the WH staff, flying on Air Force One, the WH Correspondents Dinner and of course the Obama Whitehouse. An enjoyable read, definitely recommend this one. I️ absolutely loved this book! I’m not sure if David Sedaris had any influence on your writing style, but I️ noticed some commonalities. Thank you for this insightful gem! This is wonderful. David Litt does an incredible job of providing interesting commentary and unique anecdotes all wrapped up in a flawless narration. I laughed, I cried, and I felt a little more "hopey changey" than I have in a while. very encouraging and hope infusing! In the true spirit of optimism, inspired and embodied in the humanity of Barack Obama! I don’t have sufficient skill as a writer to praise this book highly enough. Not only does it shine with wit and humor, but it is rich in the details that demonstrate the interlocking struggles of Obama (perhaps the last real POTUS) and the author, proving each man to be “one of the good guys.” The author”s voice is one of hope and courage. I found the book funny... great humor. 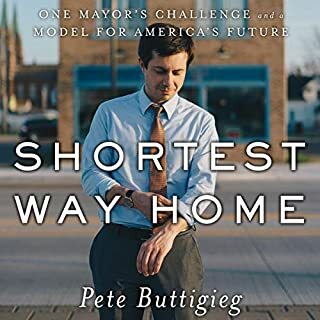 And insightful - a little glimpse into a campaign and the White House. Also some insight in to POTUS44 and his humor. I would recommend. I finished this on the morning of Wed. 9, 2017, after people all over America rose up and said &quot;Enough!&quot; Being a speech writer made listening to David very easy to do. The memories of Obama's two terms in office brought back wonderful memories and lots of laughs and even a few tears. Thanks Obama and David! 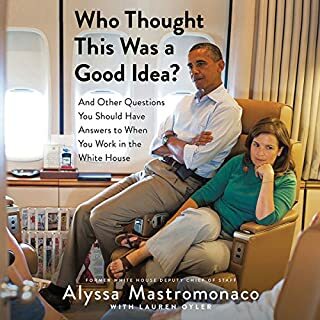 As an Obama fan, I loved this book. It provided a little glimpse into the White House from someone who worked there & was still humble & in awe of it. It made me smile & laugh. Great stories. Thanks, Litt! 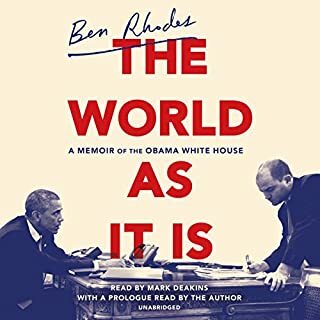 A wonderfully funny and insightful book on Obama's presidency viewed from his speechwriter. he makes even the rude things sound funny. In today's America it gives hope, when and considering the Russian baby in the Whitehouse. No idea why I chose this particular book but something called to me. So glad I picked it. So many Obama writings get caught in the race debate and in the beginning I thought this was going to be the same. However, Litt dealt with it and moved on. Loved the insight, humour and honesty that came from this. Acknowledgement of flaws and keeping the story human really made this for me. As a Scot, I have no influence on the USA, but I hope Obamas legacy is carried on.. I was seriously ill some years ago and did not have to worry about affording treatment in Scotland. Shouldn't free healthcare and education be available to all? I don't take these things lightly and I'm sure hardly any one does. I know that as they're paid for by taxes they aren't totally free but no one should have to choose between food and children's health and education and equality in the 21st century should be closer than it is. Good luck in the future to both Litt and Obama. I really enjoyed this. It was great to see the White House from the perspective of someone initially quite far down the pecking order. This is a welcome insight into the world of the white house and the real running of government. That's why I started reading it. What kept me hooked was the skill with which he writes. Every personal detail is a metaphor, a running joke or both and the skill with which he explains the art of speech writing in chapter 7 unbelievable!